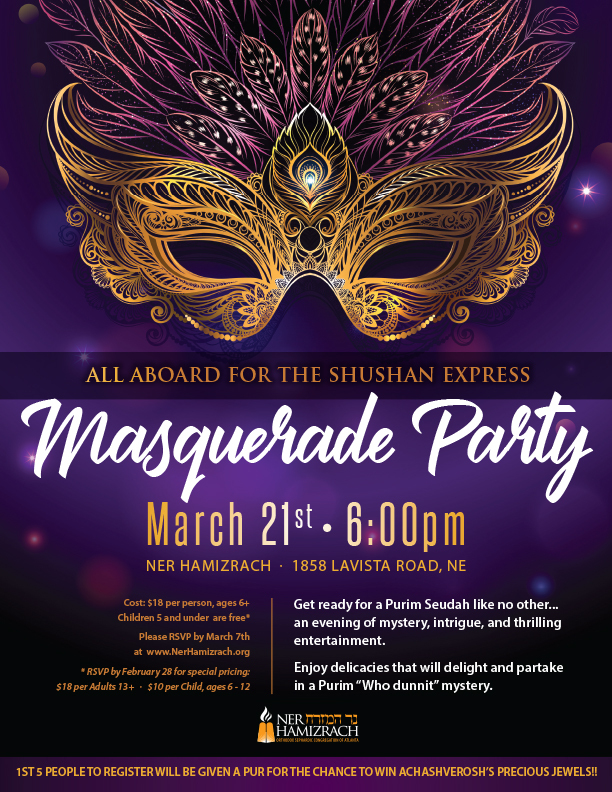 Please join us for our annual Purim seuda. The seuda will be held on March 21, 2019 at 6pm, in the shul hall. PLEASE NOTE: Registration is only complete once payment is completed on the PayPal page. If you have any issues please contact Lauren Castriota at Drcastriota@me.com. If your sponsorships total $72 or more, please email drcastriota@me.com to add 2 free tickets to your registration.